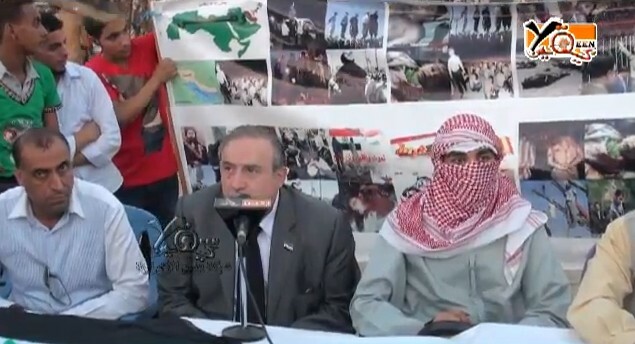 AHWAZ NEWS International intifada Tahrir Square Ahwazi rally: Tunisia, Egypt, Libya, Syria ... will Al-Ahwaz be next? Tahrir Square Ahwazi rally: Tunisia, Egypt, Libya, Syria ... will Al-Ahwaz be next? Al-Ahwaz was the focus of revolutionary fervour in Cairo's Tahrir Square this week as activists from across the Arab world voiced their solidarity with Ahwazi Arabs opposing the Iranian regime. Palestinian, Egyptian, Syrian, Iraqi and Ahwazi Arab activists spoke to the media in a rally that came ahead of Muslim Brotherhood President Mohamed Morsi's visit to Iran. The rally for Al-Ahwaz was supported by Egypt's Coalition for the January 25 Revolution, which helped successfully topple dictator President Hosni Mubarak. Demonstrators condemned the "repressive policies practiced by the Iranian authorities against the Arab people in Ahwaz" and called for independence for Al-Ahwaz. 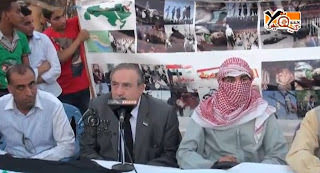 A press conference held in Tahrir Square was addressed by Ahwazi Arab activist Hamad al-Ameri, who condemned the persecution of nine million people living in the Al-Ahwaz region covering 375,000 square km. He appeal to the Arab League to stop the Iranian regime's attempts to erase the Arabic identity of the region in order to exploit its rich natural resources. Former Syrian opposition MP Mohamed Mamoun Homsi stressed the need for solidarity with Ahwazi Arabs' struggle for self-determination, which he stated was a legitimate demand under international law. Homsi warned the Iranian regime that the struggle of the Ahwazis against injustice and oppression would be the next battle following the overthrow of the Syrian regime.